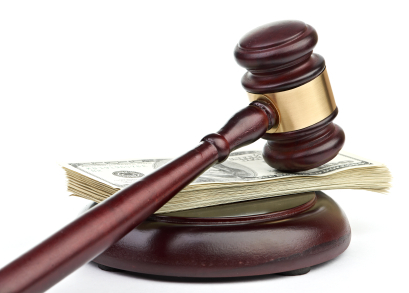 What is investor-state arbitration? And how does it impact upon people’s lives? 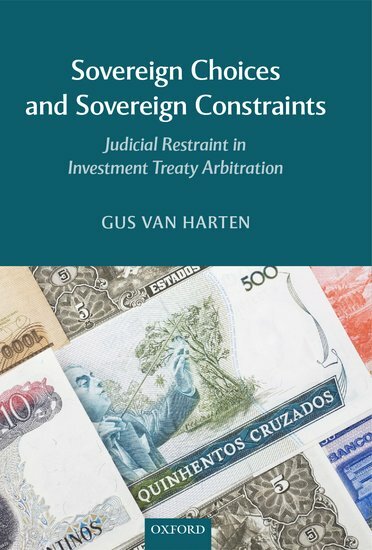 Today, we present a Q&A with Gus Van Harten, author of Sovereign Choices and Sovereign Constraints, where he explains the fundamentals of investor-state arbitration and its place in international law. What is the most pressing issue in your field right now? It is to raise awareness about investor-state arbitration which, briefly, allows companies to sue countries (but not vice versa) before a tribunal of for-profit arbitrators that is insulated from judicial review. We are at a stage where governments and the European Commission may extend this opaque but powerful arbitration mechanism via new trade and investment agreements among developed countries that have mature democracies and judicial systems. This would be a significant departure from the usual approach to resolving disputes between business and the state in those countries. In the past, the constraints imposed by investor-state arbitration were reserved — with the main exception of Canada under NAFTA — to developing and former East Bloc countries. Even in that context, the system’s implications unfolded in surprising ways since the explosion of investor claims began in the late 1990s. We have seen highly creative claims by investors challenging judicial decisions and general policies, third-party speculative financing of claims, and apparent conflicts of interest in the arbitration process. If the system is extended to developed countries, the mechanism will be locked in for decades as part of global government. This poses issues of democratic accountability, policy flexibility, and fiscal risk. I think people and policy-makers need to have a chance to understand the implications before the system is locked-in. How does it illustrate the way that international law impacts on wider developments in people’s lives? For most people — those who don’t own tens of millions in assets located abroad — the system diminishes their rights as voters, their security as taxpayers, and their bargaining position when dealing with governments in opposition to a foreign company. It is hard to say to what extent and in what precise ways these things are diminished because the explosion of claims is very recent and still expanding and difficult to analyze systematically. Yet it is clear that the public will be constrained by international investor-state arbitration in ways that go well beyond other forms of international or domestic adjudication. International law used to be a sleepy area because it lacked hard rules based on binding adjudication. That has changed in recent decades, sometimes in positive ways. However, in international investment law, there has been a sea change and a unique departure from a judicial model of decision-making. A narrow group of actors has been given unparalleled power to attack legislative, regulatory, and judicial decisions. The main beneficiaries — measured by amounts of money awarded — have been very large companies which qualify foreign investors under the treaties. This power of companies to sue countries is remarkable for various reasons. For example, the term investment is defined broadly in the treaty to include not just land and factories but also more creative concepts such as derivatives, swaps, permits, and patents. Foreign investors unlike anyone else have been given the right to sidestep domestic courts when they bring an international claim. Thus, they can have their claim decided in an advantageous non-judicial forum that is closed to other actors whose rights or interests are affected. Foreign investors are also freed from the prospect of an equivalent claim by the state where a company is alleged to have behaved badly. The companies obtain large amounts of public compensation – sometimes where domestic courts would not award compensation – from arbitrators who lack the usual safeguards of judicial independence and fairness but are insulated or immunized from judicial review. The treaties creating these foreign investor rights date from decolonization in the late 1960s. They came to fruition with the boom of claims in the 1990s. It sounds alarmist but, from my vantage point, the system’s rapid expansion, largely at the discretion of arbitrators, has altered sovereignty as we have known it in the developed world for centuries and as it has been known in much of the developing world since the colonial era. How do you see the issue developing over the next few months or years? Investor-state arbitration will continue to garner attention. More countries are going to be sued and ordered to pay compensation in new and creative ways. For instance, a group of people will demand that their government change a decision. When the government responds, people will discover to their surprise that this arbitration mechanism puts a new layer of strong financial constraints on what governments can do. Many countries woke up to investor-state arbitration only after it was too late to exit the system because of the lock-in periods in the treaties. Will governments that remain less-exposed be more careful before entering the minefield? Brazil is perhaps the best example of a country that looked carefully at the system about a decade ago and said, no thank you, we are not interested. Yet Brazil has done very well attracting foreign investment. Another question is how far the arbitrators will take their power over the public purse. In late 2012, the largest known award – over two billion dollars – was issued against Ecuador in favour of a US oil company. The largest case I’ve heard of involves about $200 billion in disputed mineral assets. Given the role of repeat players among the arbitrators and their apparent incentives to grow the business by encouraging claims, we may see yet more expansion once developed countries lock themselves in. What do you hope to see in the coming years from both the field and the issues your academic work focuses on? I hope to see more outside people take a look at the system. It is difficult to bring those people in because legal specialists often bury the discussion in hair-splitting details. Yet there is a lot of benefit from greater attention by economists, anthropologists, marine biologists; you name it. The system is relevant to nearly any fields because almost any government decision can trigger an investor claim or get stifled by the risk of a claim. In my research, I am working on an interview-based project on how investor-state arbitration affects government decisions internally. There is a lot of complexity to this question but, basically, it is debated whether the treaties chill good decisions or deter bad ones. We use interviews with current and former insiders to try to shed light on this issue. I think it is a priority because a large portion of the iceberg has thus far been hidden from view. That is, what happens behind the scenes when a lawyer or lobbyist threatens a government with a claim? How often is this done and how do governments react? One might expect the rational cost-conscious government to withdraw proposed measures in the face of objections from large companies, where there is a non-negligible risk of large-scale liability. Some interviewees have made clear that this happens. On the other hand, it does not happen all the time and may be highly unlikely in some contexts. We would like to get a more precise sense of where and in what ways this regulatory change occurs. Gus Van Harten is Associate Professor of Law at Osgoode Hall Law School. He is the author of Sovereign Choices and Sovereign Constraints, published by Oxford University Press (2013). Image credit: Law gavel on a stack of American money. © merznatalia via iStockphoto.